What's the meaning of today's title, I hear you ask? . . . no? . . . well I'll explain anyway. You may, or may not, have noticed I haven't posted for a few days. This is down to my laptop playing havoc with the internet, it's been like a stubborn toddler, dropping connections, then picking it back up again, only to drop it again once it's lulled me into a false sense of security!! Anywho, I had better get straight to it while it's having it's afternoon nap and doesn't realise I am trying to get work done. 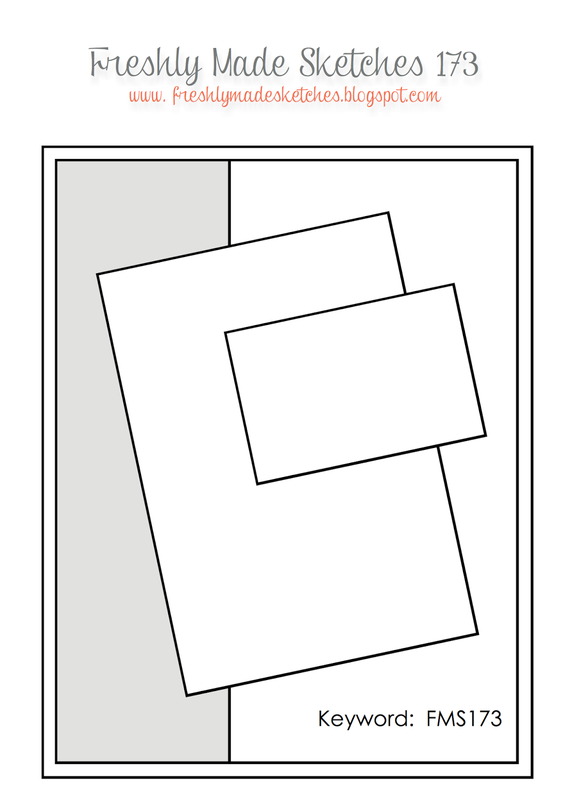 This post is for Freshly Made Sketches #173 Which is this sketch by Kim. I will quickly explain how I did it. First, I masked off a panel to the right of the card and taped a stencil down to the left and used white embossing paste to emboss a border as per the FMS sketch. Next, I stamped the Lotus Flower image onto a smaller panel and then added the sentiment along the side of that panel - this was my only slight deviation, or different interpretation of the sketch. I finally finished off with a couple of pearls. All supplies will be listed below the pics. This is my card. 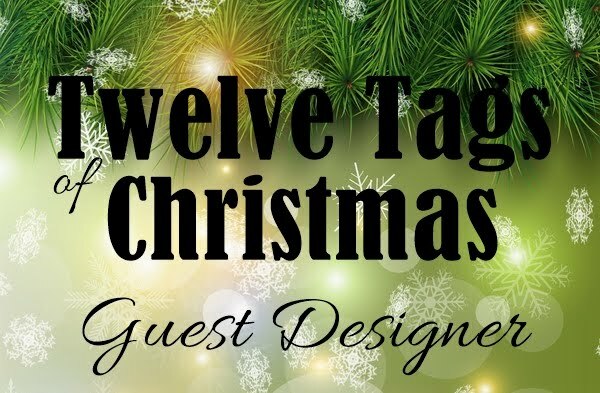 As always, I appreciate you taking the time to visit my little blog and I appreciate all your comments and will reciprocate where possible. What a beautiful card! 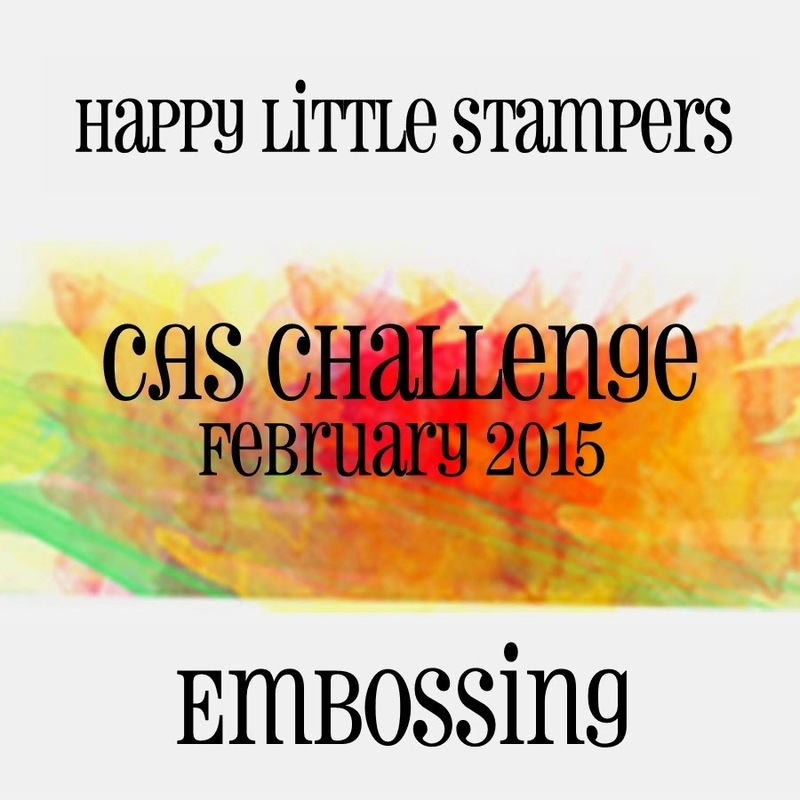 I love the embossing paste used as a border on the edge - great idea! Truly lovely! 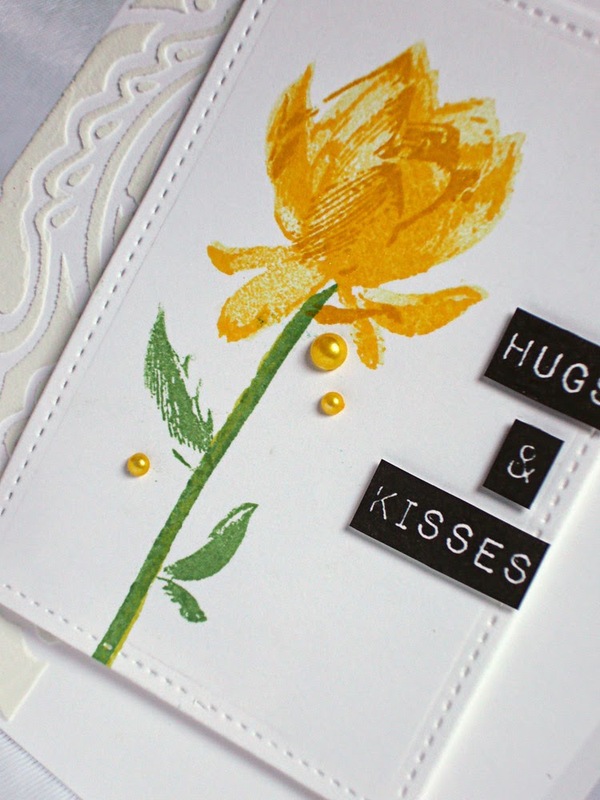 The embossing paste down the side is such a soft lacy look behind that stunning rose. LOVE your placement of the sentiment. Thanks for playing along with us at Freshly Made Sketches. This is absolutely gorgeous! 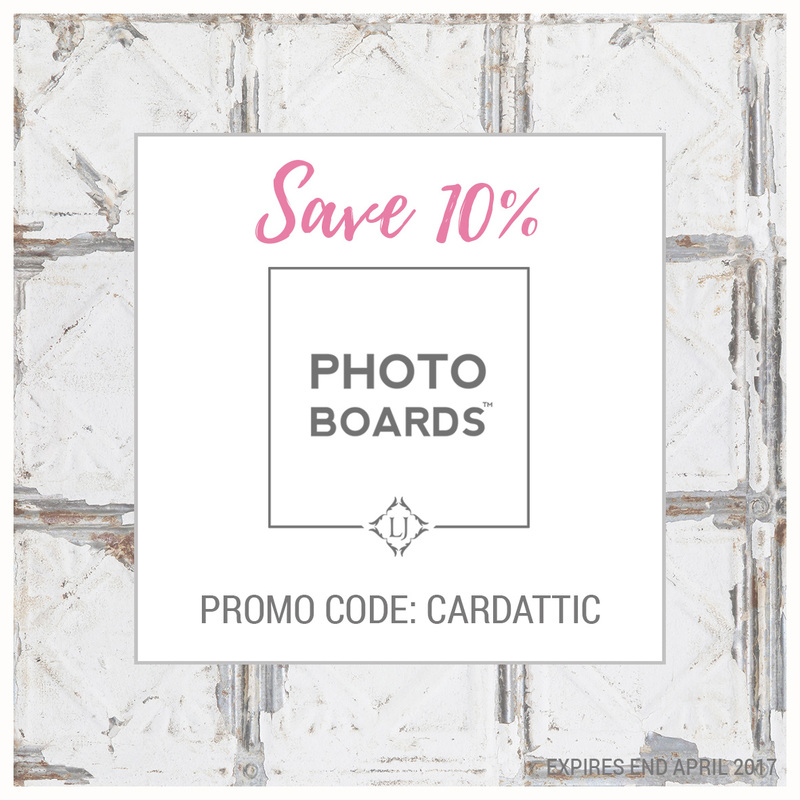 From the stenciled strip to the beautiful flower to the pearls and the sentiment! Good luck with your laptop! So annoying when they act up! I love this...the colors are so vibrant, and what a fun sketch! Hope your laptop starts behaving soon! Hazel, this is gorgeous! i love the yellow flower and beads! 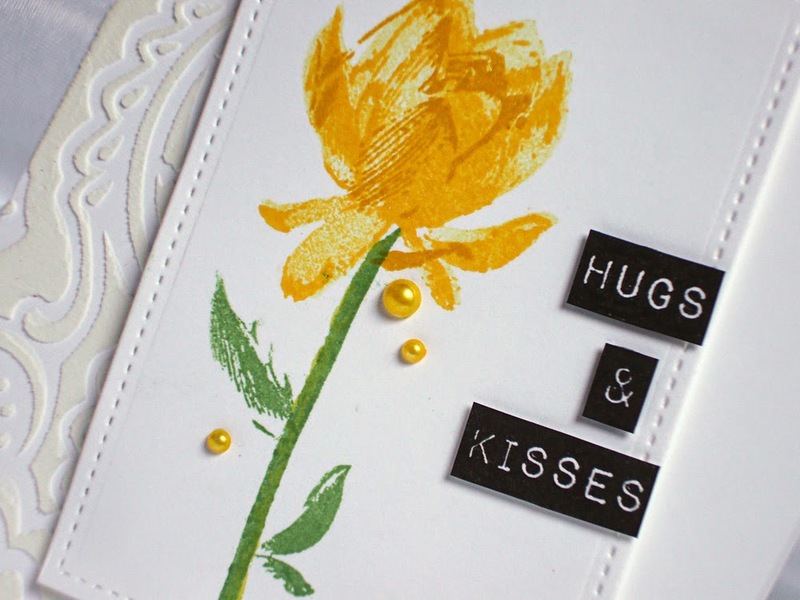 Beautiful embossing down the side of your card! I love that sketchy flower. Gorgeous card! I love the simplicity of it. This is fabulous! The label look of the sentiment looks so good with that beautiful flower. Thanks so much for joining us at Freshly Made Sketches. Thanks for your kind comment on my blog. I came over to visit. Your work is wonderful. This card is absolutely GORGEOUS. 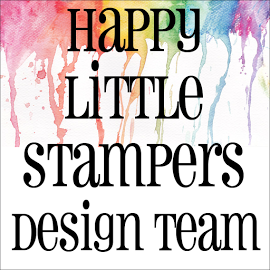 I love the combination of the elegant stencil, the brush stroke flower and the block sentiment. Love your use of the layout. Such a pretty card!! 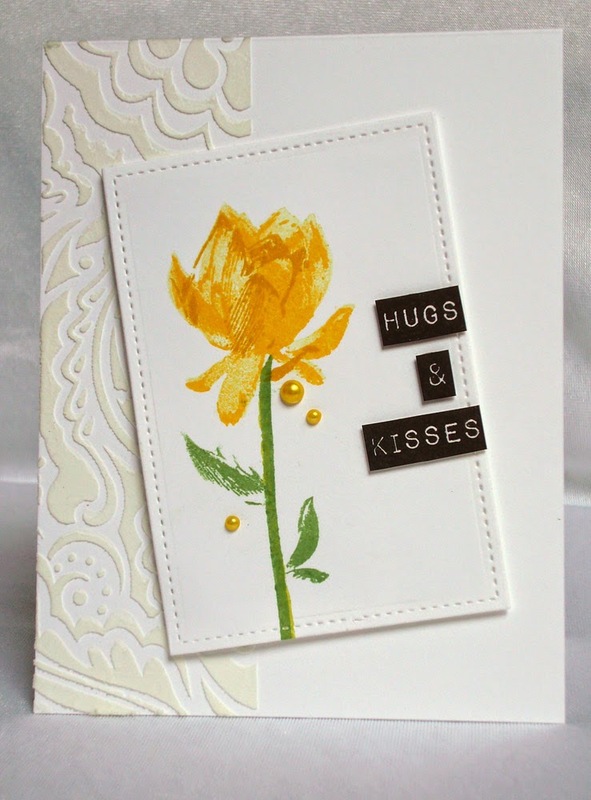 Love the embossing paste on the left side and the beautiful flower!! So glad your laptop didn't let you down on posting this stunning card, Hazel!!! It's beautiful!! 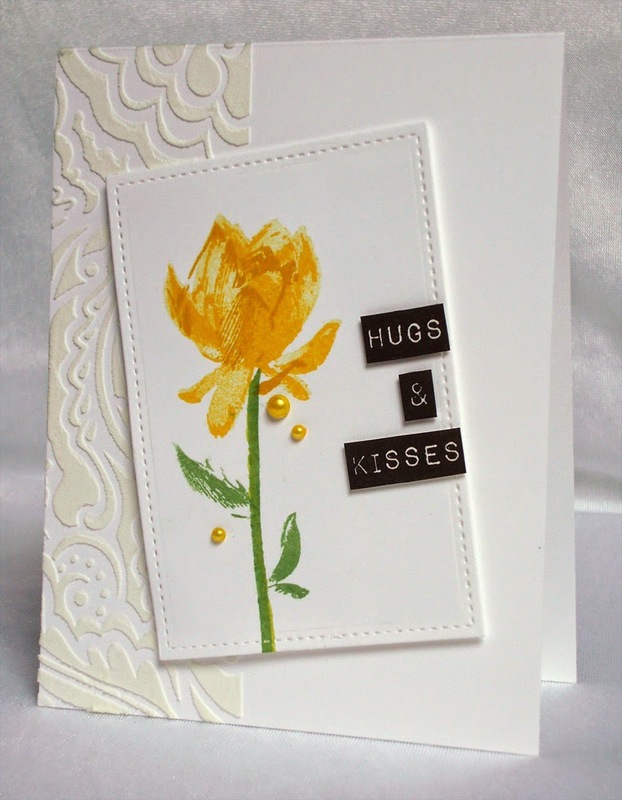 The embossed strip at the side is lovely and your flower is simply stunning!!!! I love how you have done the sentiment and the three pearls are beautiful!!!! Such a beauty, Hazel!!!! Have a great day and hoping that your internet problems will be sorted out soon!!!! Hi, Hazel!!!! Have just seen that you are the QoC for the week, my friend!!!! Big, big congrats, I loved your stunning card from the moment I saw it for the first time!!!! Wowzers and well done!!!! Congrats! This is such a beautiful card!! WOW...what a stunning card. 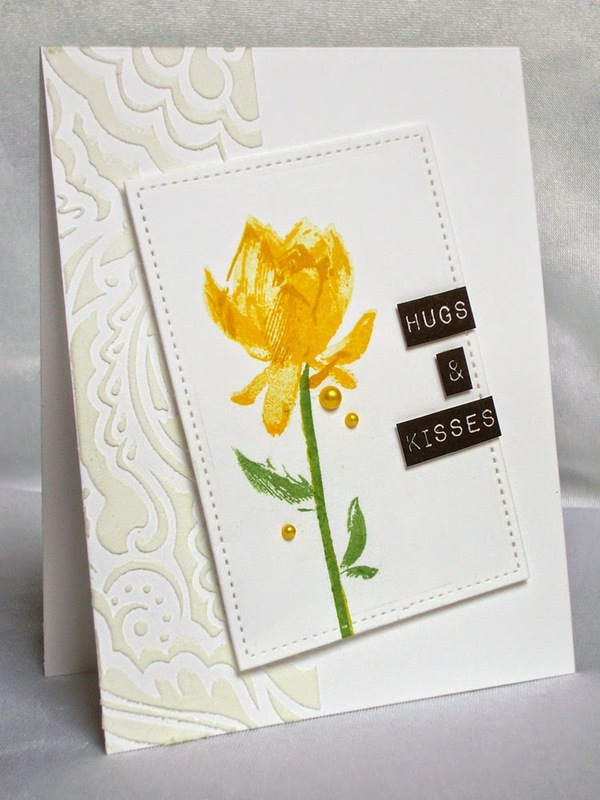 Love your sweet yellow tulip and your embossed side panel, so pretty.